Members of the Aspen Institute’s Society of Fellows are invited to The Scientific Secrets of Perfect Timing featuring Daniel H. Pink, New York Times best-selling author. Everyone knows that timing is everything. But we don’t know much about timing itself. Our lives are a never-ending stream of “when” decisions: when to start a business, schedule a class, change jobs, get serious about a person. Yet we make those decisions based on intuition and guesswork. Timing, it’s often assumed, is an art, but is it in fact a science? 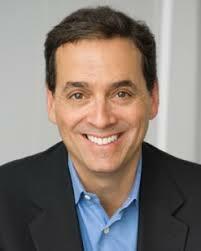 Join us as Daniel H. Pink unlocks the secrets to flourishing at work, school, and at home. Daniel H. Pink is the author of six provocative books — including his newest, When: The Scientific Secrets of Perfect Timing, which has spent months on the New York Times bestseller list. His other books include the long-running New York Times bestseller A Whole New Mind and the #1 New York Times bestsellers Drive and To Sell is Human. His books have won multiple awards and have been translated into 39 languages.